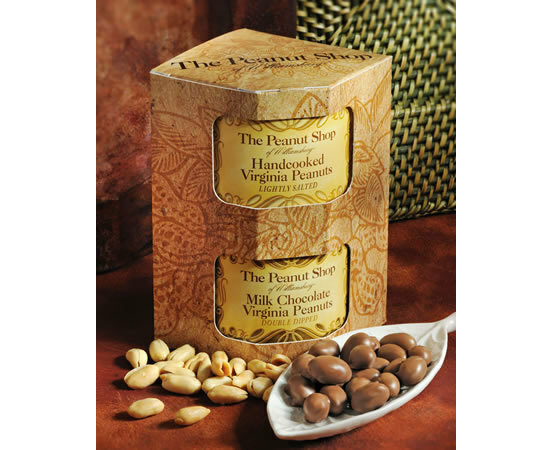 Virginia Peanuts 10.5 oz. & Milk Chocolate Covered Peanuts 11.5 oz. Virginia Peanuts 10.5 oz. & Whole Cashews 10.5 oz. Our elegant Two Packs are stacked in leather look gift boxes. A perfect corporate gift!